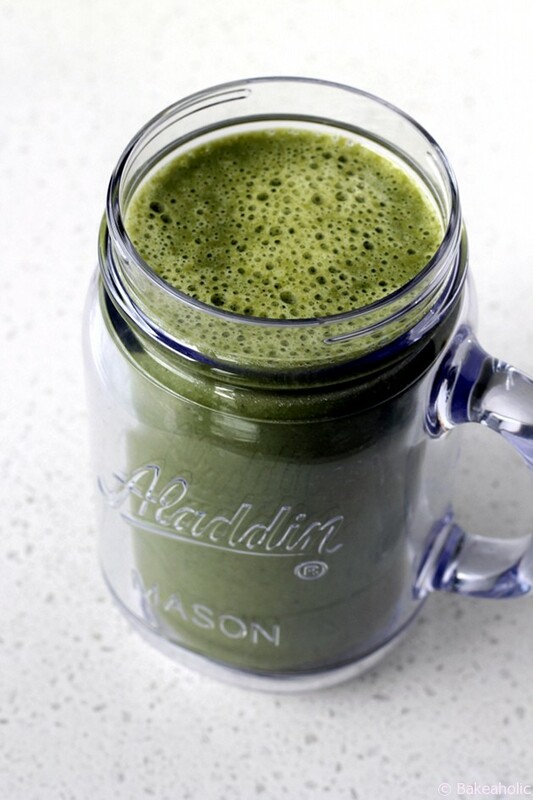 Green smoothies are loaded with leafy greens that are rich in antioxidants and nutrients. Seeing as how it’s earth day, I thought I would share a ‘green’ recipe thats good for your right from mother nature. 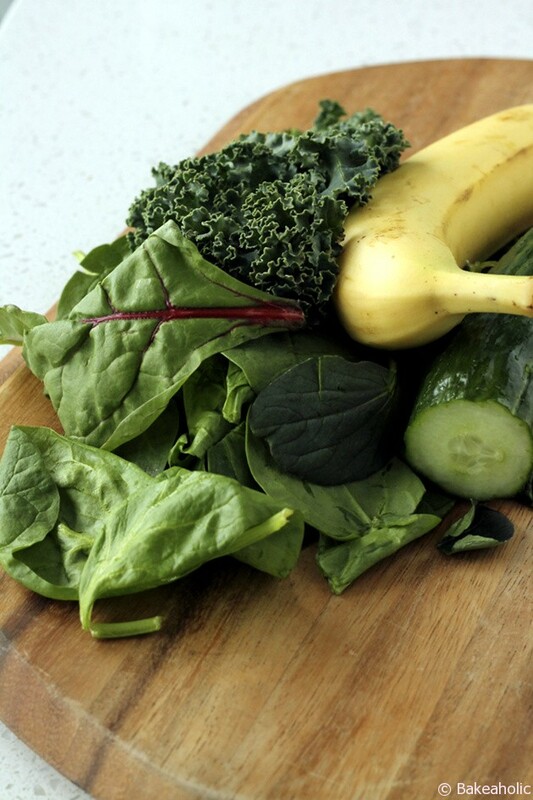 You can experiment with different types of greens including a mix of spinach, kale, swiss chard and even baby bok choy. I buy a pre-packed mix of all of the above greens so I can just grab a handful and go. Other times I’ll use all spinach or a mix of spinach and kale. You can also add in protein powder or other greens. The addition of banana sweetens the smoothie naturally without taking away from the nutrition. You only need half a banana to give it that smooth, thick texture and enough sweetness. 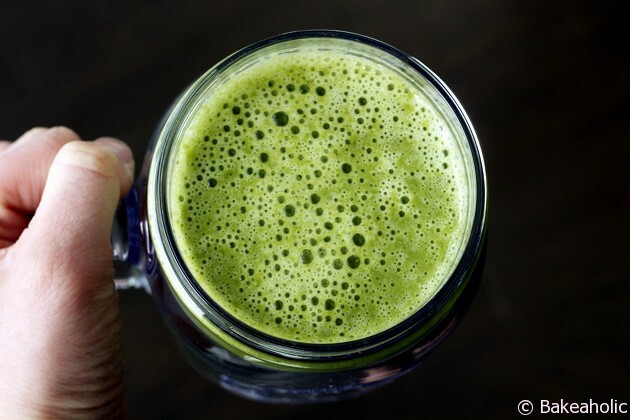 You really do not taste any of the greens, even when using kale or swiss chard. They have a very mild taste and the banana hides it even more. Check out my other smoothie recipes, cool as a cucumber and summer citrus smoothie. In a high speed blender ( I have a KitchenAid ) add all the ingredients beginning with the ice cubes and liquids then the cucumber, greens and banana. Blend until frothy and smooth. 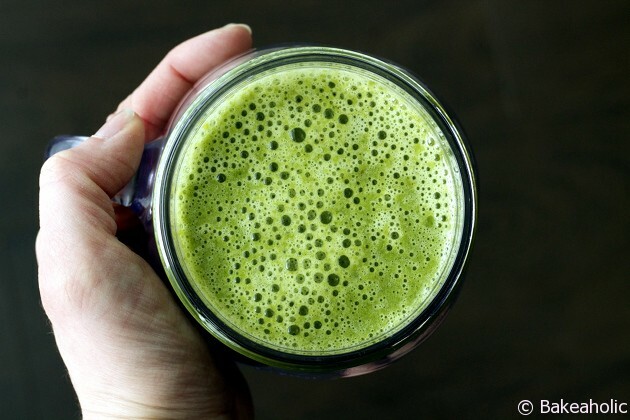 If you're experiencing trouble (won't blend well) add more liquid like water or almond milk. If you need to, stop the blender completely and mix with long spoon before turning on again.